On 7 June 2018, for the first time, a Committee of the United Nations Security Council placed individuals on a sanctions list for human trafficking. As part of the Libya sanc­tions regime, travel bans and asset freezes have been imposed on six individuals iden­tified as the main perpetrators of illegal activities relating to human trafficking and the smuggling of migrants. The European Union and the US have already implemented these UN sanctions. This response is an expression of the UN Security Council’s in­creased attention on transnational organized crime (TOC). For years, the number of resolutions relating to TOC, whether linked to drug or arms trafficking, piracy, kid­nappings or illegal trade in natural resources, has increased substantially. And the Security Council has repeatedly dealt with human trafficking in conflict situations since the end of 2015. The relevant decisions show what role the Security Council can play in addressing organized crime, but also where pitfalls lurk. As a non-permanent member of the Security Council in 2019/2020, Germany should advocate a systematic advancement of the agenda. 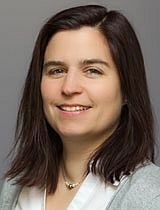 Judith Vorrath is a Senior Associate in the International Security Division of the German Institute for International and Security Affairs (SWP) in Berlin. She is working on illicit economies and transnational organized crime in West Africa and international responses to organized crime in the context of violent conflict and state fragility. Previously she has been a post-doc fellow at SWP, at the U.S. Institute of Peace in Washington D.C. and the European Union Institute for Security Studies in Paris. Judith holds a Doctor of Science from the Swiss Federal Institute of Technology (ETH). From 2005 to 2010, she pursued her studies as a Doctoral Student at the Center for Security Studies, Zurich, and as a member of a National Research Center (NCCR Democracy), engaged in a project on democratization in divided societies. In this project she focused particularly on the African Great Lakes region. Prior to joining the Center and the NCCR, she worked as a Research and Programme Coordinator at the Development and Peace Foundation (SEF) in Bonn for several years.